Big names in Dubai real estate are coming out to warn against the practice of aggressive off-plan incentives being offered by smaller private developers. The latest to issue such a warning is P.N.C. Menon, founder and chairman of Sobha Realty. “Aggressive incentives being offered by smaller private developers are not sustainable. It shows frustration and fear on the developer’s part. If you have a good product, people will buy since it is a big ticket investment. They want value for money. I call such tactics unfortunate fear on the developer’s part,” he told Khaleej Times on the sidelines of the launch of Sobha Realty’s Brand Studio in Dubai on Wednesday. Menon warned customers of being lured by freebies and, instead, suggested that they consider the build quality and the developer’s track record. Describing the current Dubai property market as competitive, Menon said although prices have come down by 25 to 30 per cent, the sector still has the potential to do sales worth of Dh40 billion to Dh50 billion every year. And that number will grow by about three to four per cent every year, the senior executive said. 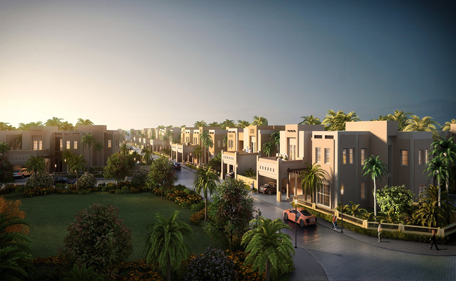 The developer has two projects in Mohammad Bin Rashid City – District One, a joint venture with Meydan, and Sobha Hartland. The developer insists it has sufficient land bank for the next 10 years. Being a developer that specialises in the mid to upper segment of the Dubai property market, Sobha believes this sector alone accounts for around 25 to 30 per cent of the overall industry. “We will be purely concentrating on the mid to upper segment since there is a market for it. The biggest challenge for developers is to establish a consistent brand identity in a market that has 50 other players,” Menon added. Sobha Realty aims to achieve property sales worth of Dh1 billion this year after clinching Dh700 million worth of sales last year. “We expect Dh1.5 billion next year and hope to do Dh2 billion in 2020,” Menon continued. The developer has a conservative handover target of around 1,000 to 1,200 units every year in its flagship project (Hartland). Citing Emiratis, Indians and Saudis to be the biggest buyers of real estate in Dubai, Menon finds the Chinese to be a potential target market. “The Chinese are finding favour with international educational institutes in Dubai. They find it easy to integrate with the local population owing to the similarities in culture. Over a period of time, Chinese will emerge as a very important buyer segment in the Dubai real estate market,” the chairman reckoned. Dismissing talks of a softening market, Menon said real estate is a cyclical business all over the world. “Every two to three years, the cycle changes. It has become shorter now. Dubai is an established real estate market like other global hubs such as London, the US, etc. It has got a sustainable future for residential real estate,” he concluded.